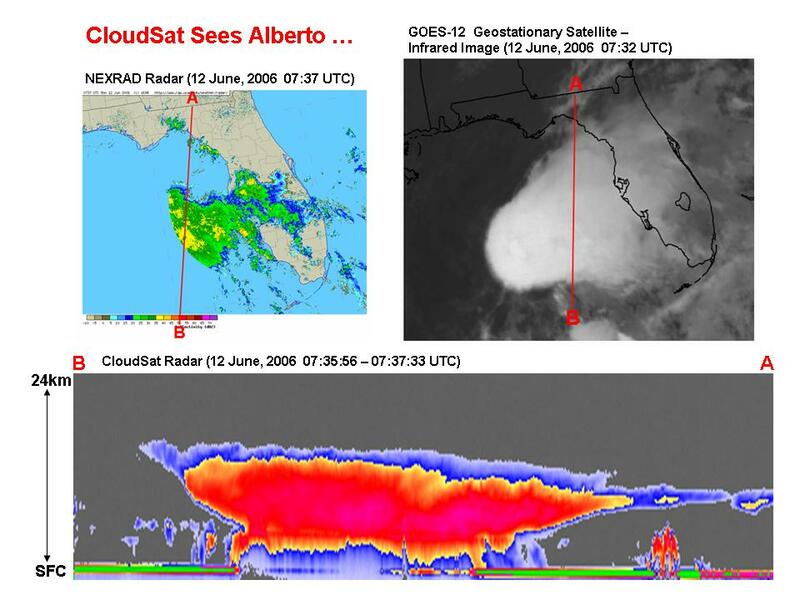 NASA's new CloudSat satellite captured its first tropical storm, Alberto, as it spun over the Gulf of Mexico the morning of June 12, 2006. This image comparison shows how CloudSat "sees" such storms differently than conventional weather satellites. The CloudSat image (top of this page and bottom of figure 1) is compared with images obtained at nearly the same time from two National Oceanic and Atmospheric Administration National Weather Service tools that are mainstays for monitoring the development and movement of tropical cyclones: the NEXRAD storm detection radar, which maps out precipitation patterns for that portion of the storm that comes into its range, and the GOES-12 (Geostationary Operational Environmental Satellite) infrared imager, which is presented here to indicate the scale of the storm and the location where CloudSat overflies it. 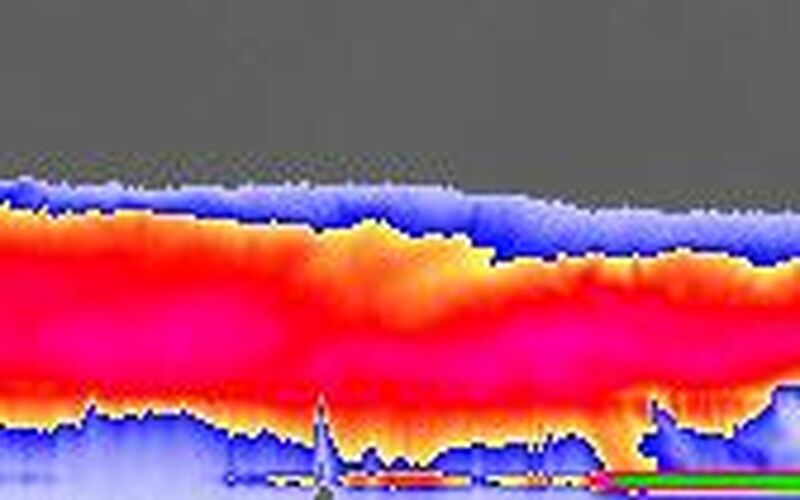 CloudSat sees the storm outside the range of NEXRAD and provides significantly greater vertical detail compared to the GOES satellite. 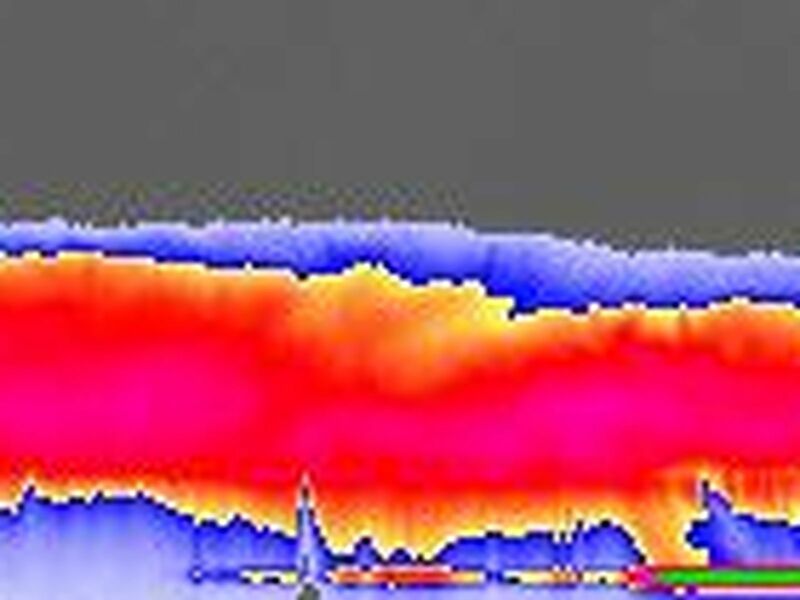 NEXRAD, for example, can only see out to about 402 kilometers (250 nautical miles), and so could not see the portion of the storm that CloudSat was flying over at the time. GOES-12 only sees the very top of the clouds, and cannot provide any detail about what is being seen beneath the cloud tops. The CloudSat data show a storm that reaches about 16 kilometers (10 miles) in height and extends perhaps 1,000 kilometers (621 miles) in scale. The green line at the bottom of the CloudSat image is the radar echo of the Earth's surface. 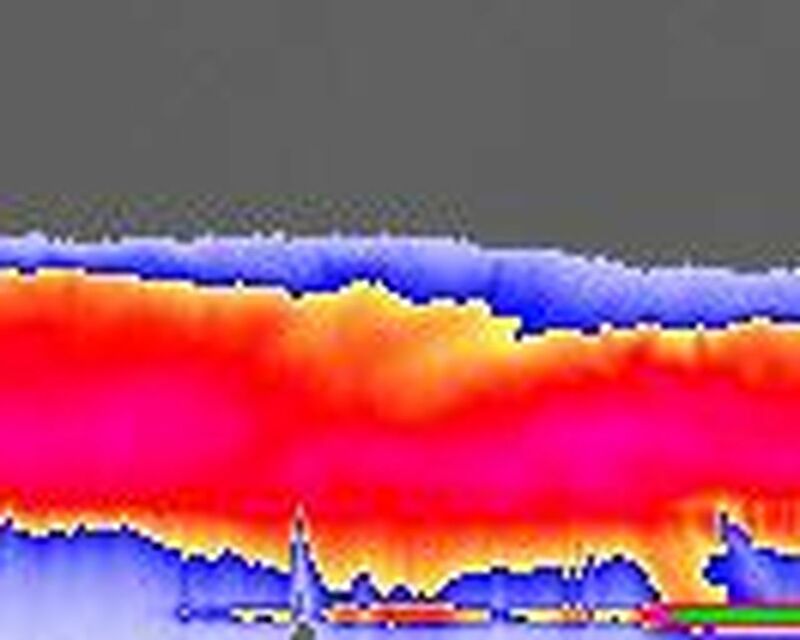 Where this line starts to disappear (change color) under the storm is where the rainfall is heaviest. Very heavy rainfall can be seen over about 400 kilometers (249 miles) of the satellite track. Cirrus clouds can also been seen out ahead of the storm (near letter A) -- this is also evident in the GOES-12 image. A smaller thunderstorm is visible in the CloudSat image under that cirrus cloud cover near the letter A. That storm is completely hidden from view in the GOES infrared image.